Roll up and charge. 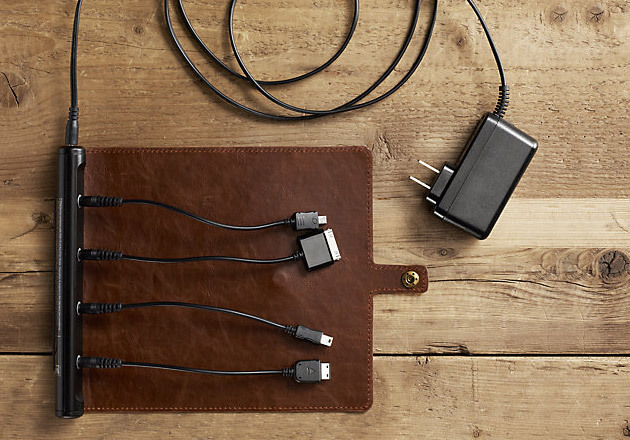 Portability is again at its finest as you can now charge up to 4 devices with the Roll Up Travel Charger ($35). The charger has 4 different connectors for various mobile gadgets including the iPhone 3G, iPhone 4, iPad 1, iPad 2, 1st to 5th generation iPods, iPod Nano, iPod Touch, and Samsung products, among others. Plug it into a power source and you can charge 4 of your phones, MP 3, and the like. It’s very light and convenient; all the charging you’ll ever need is rolled into a single nifty item.